Welcome to Rose Edin Online! 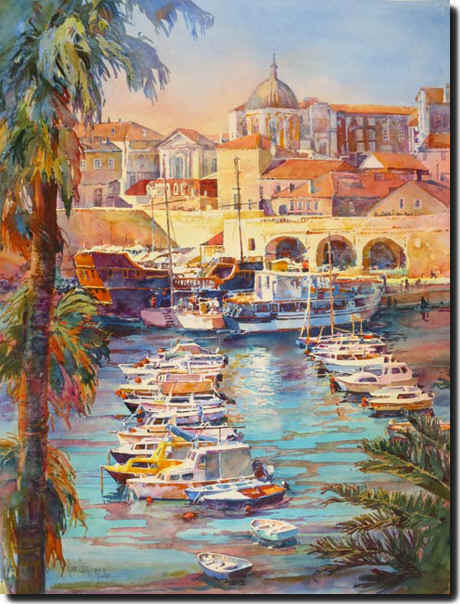 Rose Edin's paintings capture the romance and beauty of scenes we may see every day or that she was inspired to paint from her travels. Each image is fresh, new and original. She has a unique talent of bringing excitement to each and every moment, not only to those moments that come once in a lifetime! 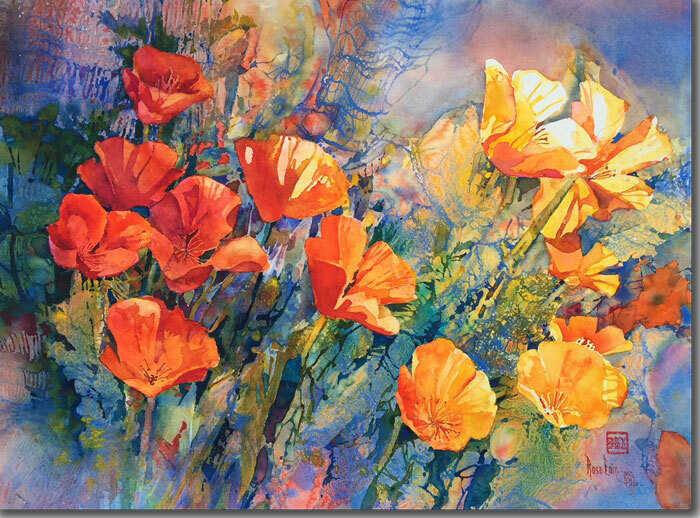 Edin's compositions are brimming with variety and splashes of color. 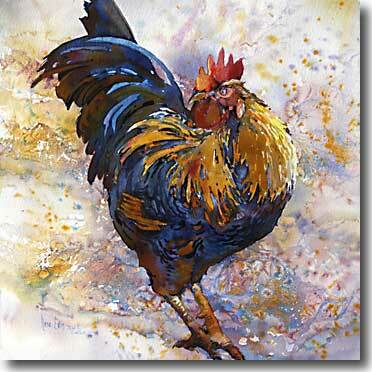 Each brushstroke carries a hue that is muted but exact and carefully applied to enhance the overall image. Her light touch captures a softness that few can match. 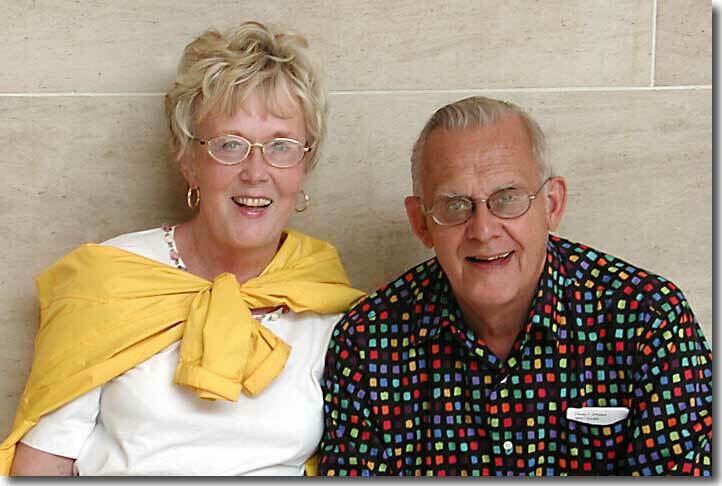 Rose has had a number of books published by Walter Foster Publishing of California. 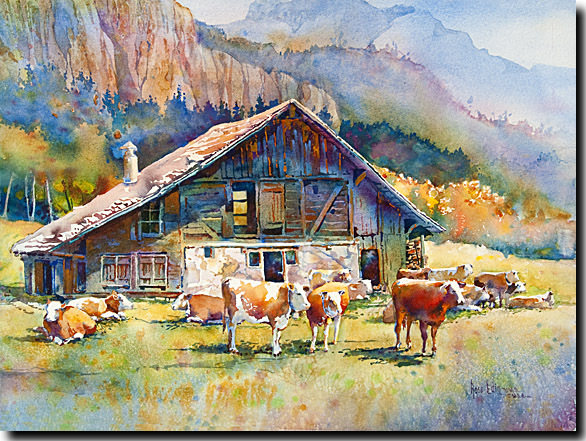 The Art of Watercolor is a large comprehensive watercolor book co-authored with six other artists. 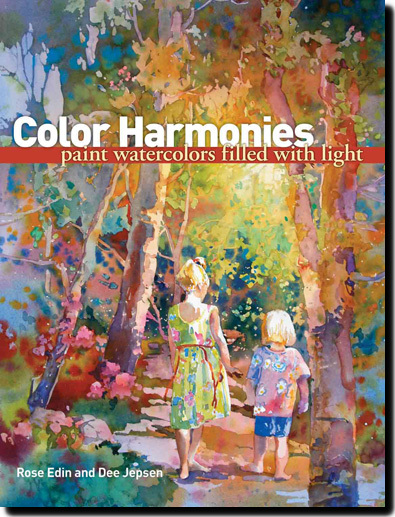 A book by Rose and Dee Jepsen is published by North Light, the largest art book publisher in the country, is called "Color Harmonies - Paint Watercolors Filled With Light" and is currently available at Amazon.com. 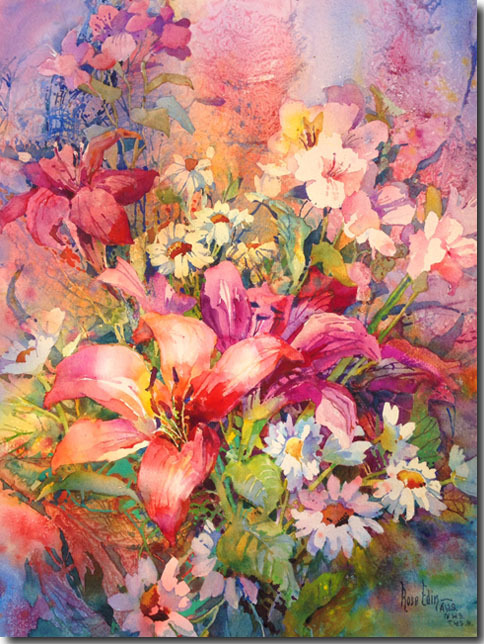 Rose holds signature membership in the the American Watercolor Society (AWS), the National Watercolor Society (NWS), and the Transparent Watercolor Society of America (TWSA). Rose has been awarded "Master" status in the TWSA. 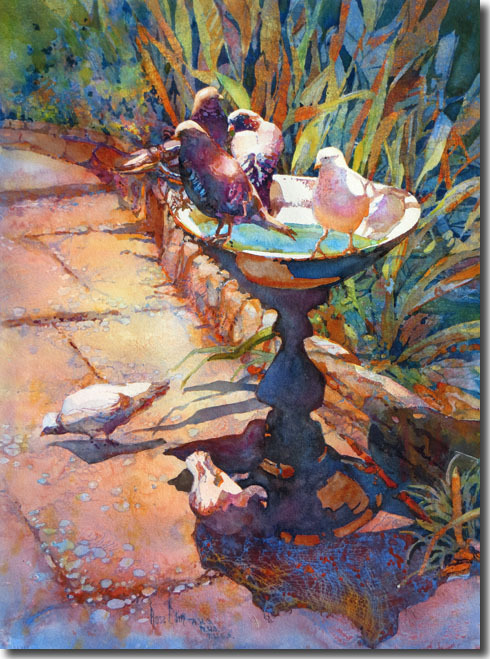 She has received two distinct awards in The American Watercolor Society, first place in the animal/wildlife division of The Artist Magazine's annual international art competition, invited to exhibit in the Shanghai Invitional Watercolor Exhibition, and has had a painting in the book, Splash. 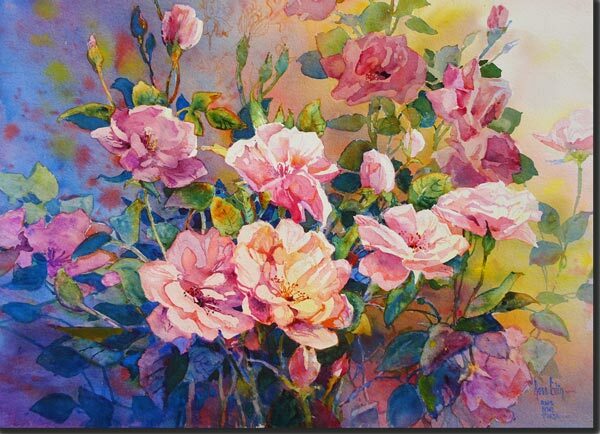 She has had her work on the cover as well as two major articles in the French magazine, the Art of Watercolour - 2013, 2014 and 2017. This magazine is sold in 37 countries. 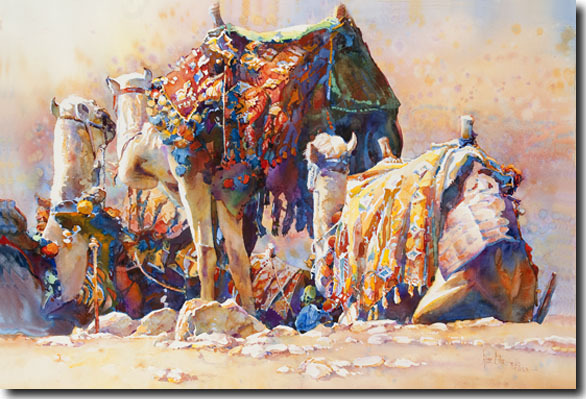 Learn how to use color to achieve a lively, glowing effect in your paintings. 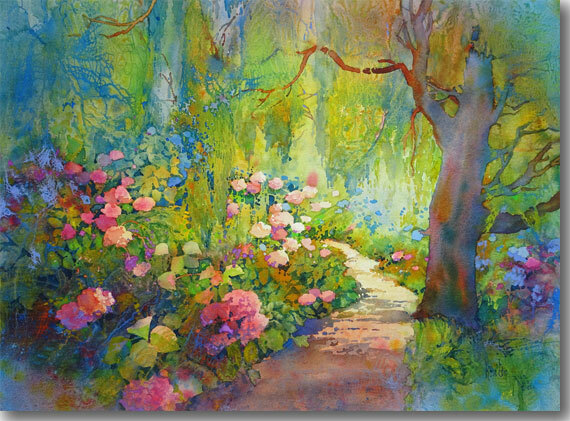 By keeping palette mixing to a minimum and applying other simple but effective tricks, you'll create sparkling passages of color that attract your viewer's eye, engage imagination and make your paintings 'sing'! 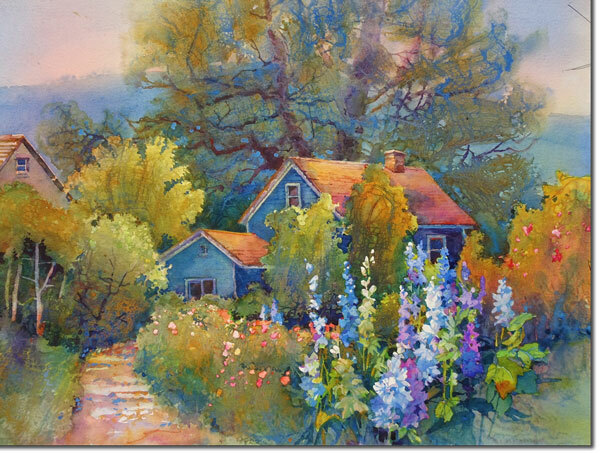 The book has a number of demonstrations that illustrate the step-by-step creation of stunning light-filled paintings along with gorgeous landscape, flower and figure paintings. The book also includes expert advice on drawing and composition, adding texture and interest, making the most of light and shadow and more! The 128 page book is available through Amazon. The Amazon.com site shows a substantial number of the book's pages. A quote from an e-mail to Rose: "Wow! I love, love, love the book. Incredible luminosity. The colors not only sing, its a whole opera! It looks like a bright light shining behind the paintings." 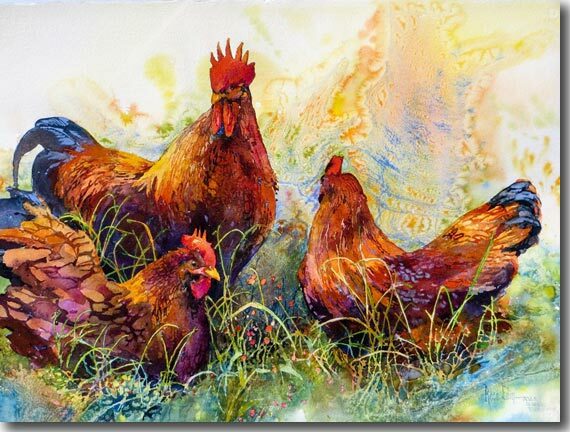 Gallery -Serendipity Art Gallery, 4464 Main St, Pequot Lakes, MN 56472 (Jackpine Center), 218-251-5078 Jennifer Sommerness is the delightful owner. 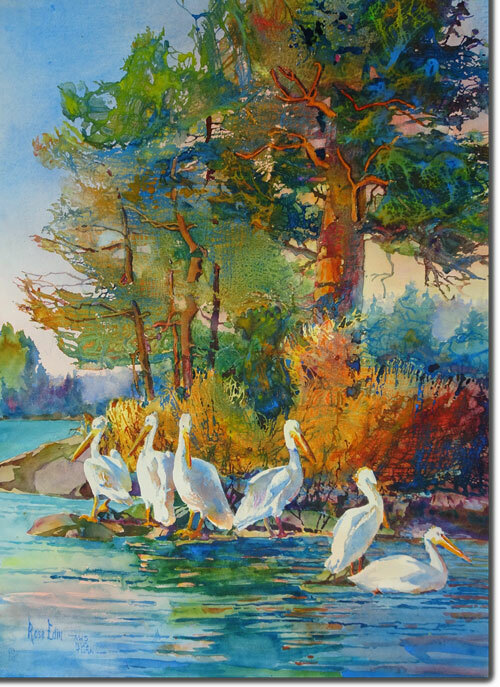 I have 17 paintings displayed in this beautiful gallery in the heart of Minnesota lake country! 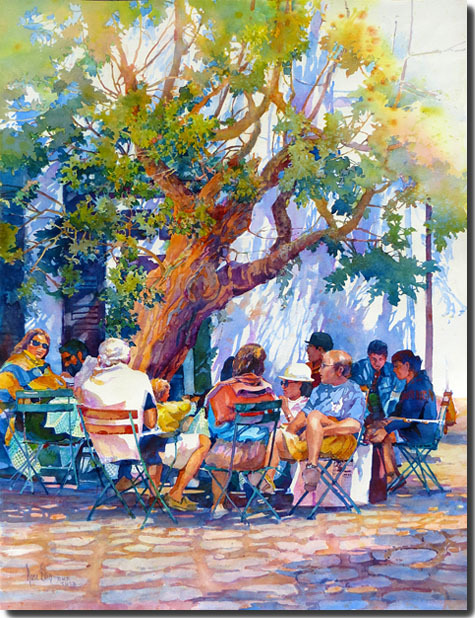 Featured in the traveling show for The American Watercolor Society 2011 -2012.
and show in New York City. 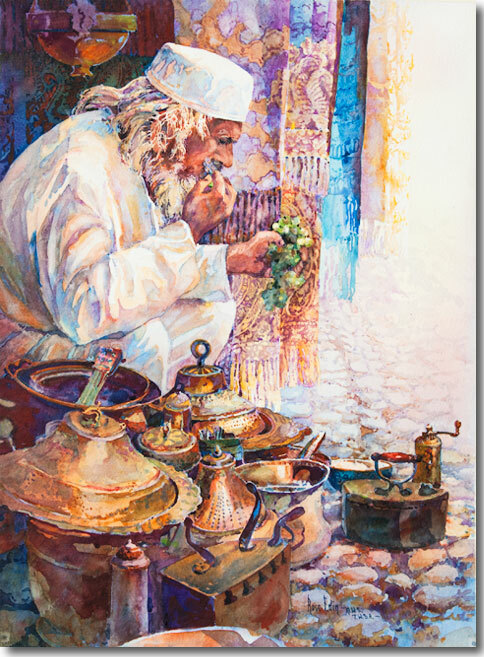 Featured in the traveling show with the American Watercolor Society - 2014. Late in the afternoon the marketplace in India was about to fold up. 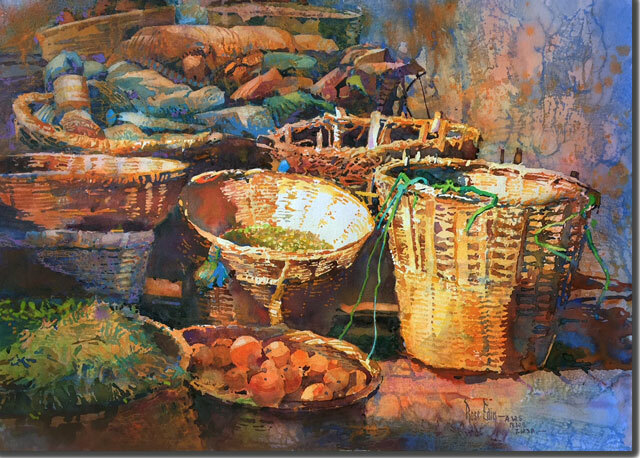 The strong sun was hitting some of the baskets making a very interesting subject to paint. 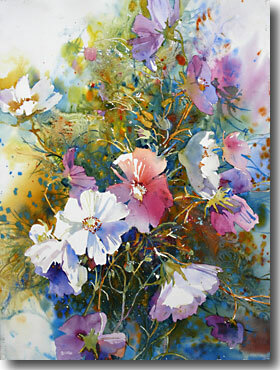 This painting was a winner in the French magazine, The Art of Watercolour competition with a two page article. This magazine is sold in 37 countries.. Inspired by a scene in Honduras. 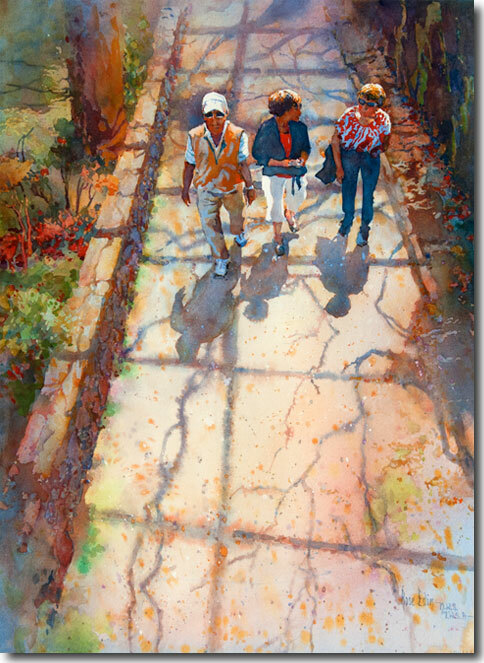 John Singer Sargent award winner at the 2015 Transparent Watercolor Society of America annual show. 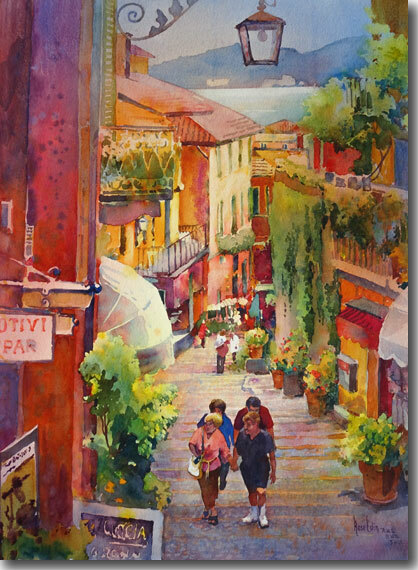 Bellagio, Italy is a beautiful town for artists to paint. This mountainous town is in the center of Lake Como. I have painted here three times. Climbing the hills is a bit of exercise! We were riding a rickshaw in Delhi's's Old City. Every day the maids go to market to buy fresh produce for dinner. The supplier had just unloaded a huge pile of potatos. We had a great vantage point to photograph this interesting subject! Sorrento harbor has a variety of boats. 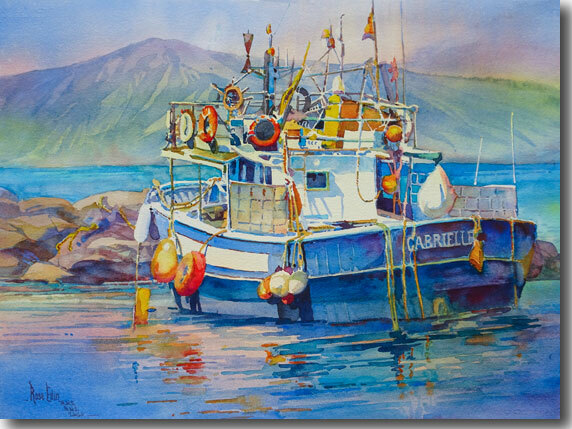 The fisherman who owned this beautiful boat celebrated the use of color and dedicated the boat to his wife, Gabrielle. 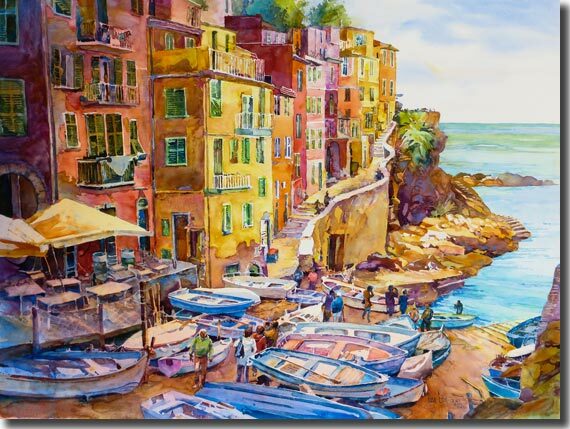 The five towns on the Italian Riviera are called Cinque Terre. At the bottom of this narrow street of Riomaggiore, hundreds of boats are pulled up. By following the path you can visit the other beautiful towns. 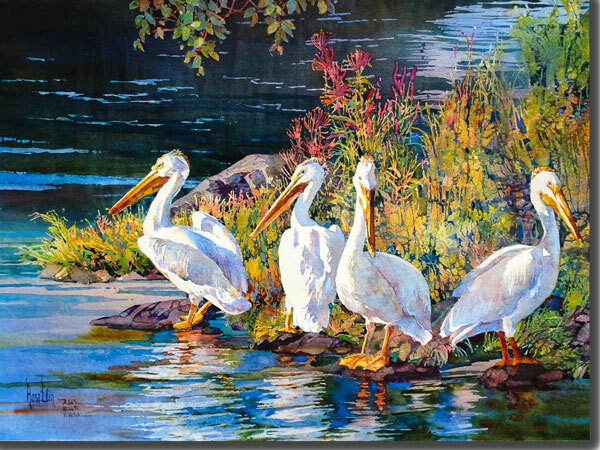 Every summer on Lake of the Woods in Canada the pelicans visit us. In the evening they choose a special rock to view the sunset. An experiment with color and cotton gauze. The inspiration was from a photograph I took in Cornwall, England. Hydrangia's line this beautiful pathway. These colorful birds were photographed in Switzerland. They were very proud of their color! Medocino, Californis is the home of this adorable cottage. The blue delphiniums were a great match for the house. Included in the North light book "Splash 14. 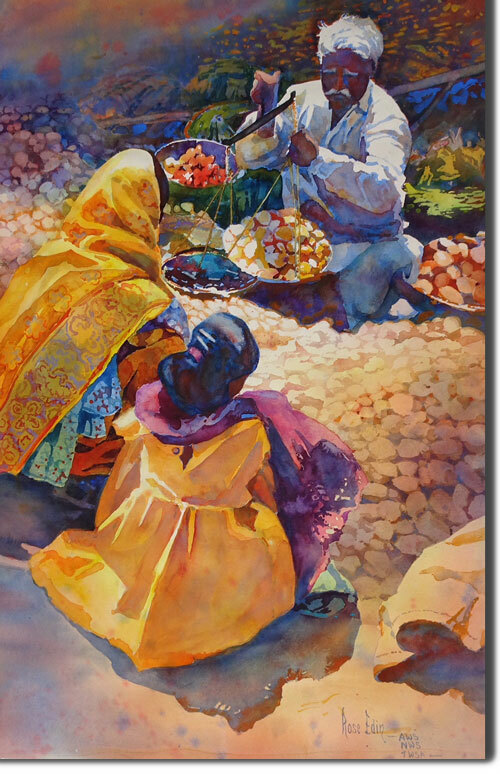 The best of Watercolor" 2014 The volume is subtitled : "light and color" and each painting is accompanied by a caption that shows readers something about each artist's processes pertaining to the theme of light and color. 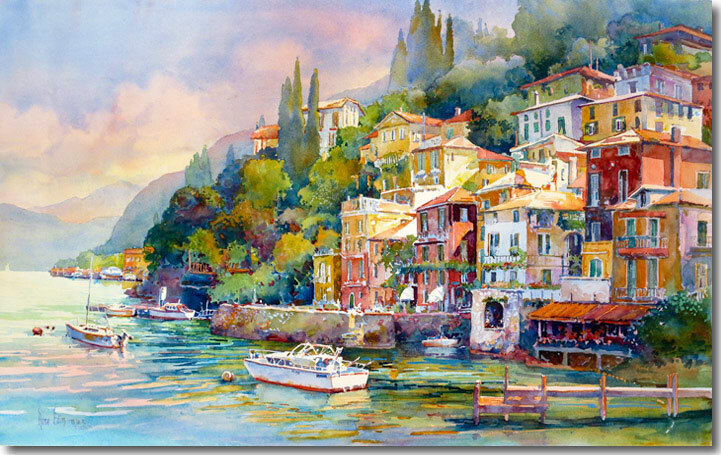 On the shore of Lake Como in the lake country of Northern Italy. Our hotel had a view of the beautiful harbor of the old city of Dubrovnik, Croatia. 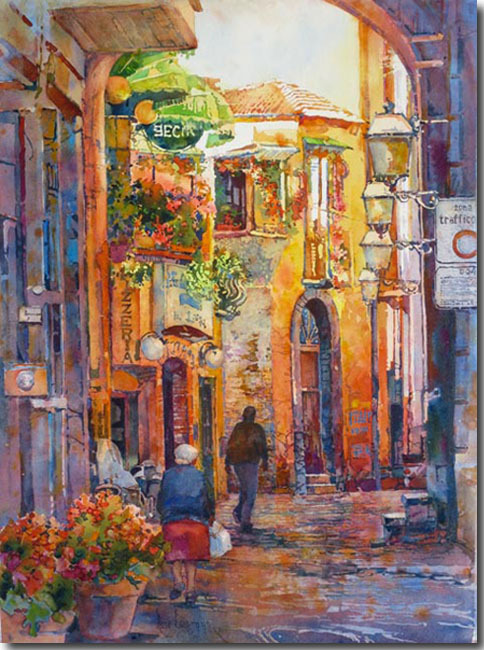 An evening scene in the narrow streets of Sorrento, Italy. 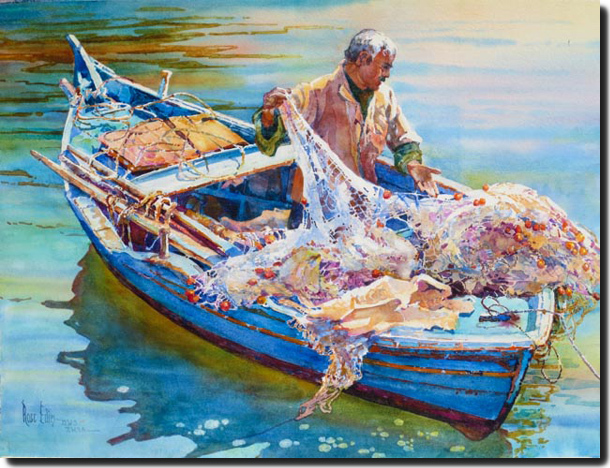 A fisherman mending his nets in the harbor of Alexandria, Egypt. 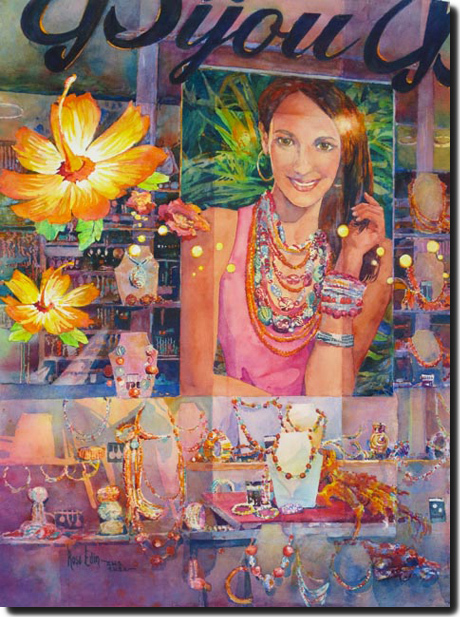 A boutique window in the town of Bellagio on Lake Como, Italy. 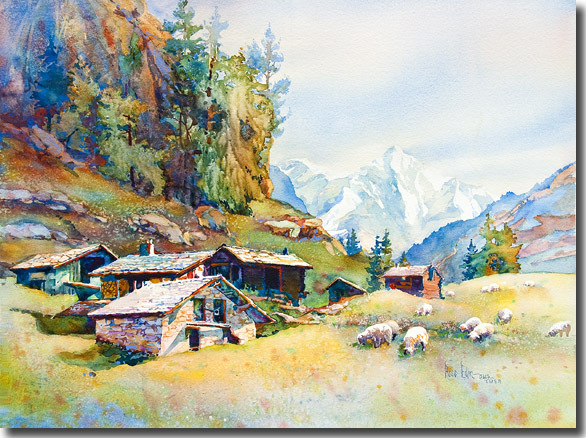 This abandoned farmstead lies in a beautiful tranquil alpine meadow high above Zermat, Switzerland. This merchant is eating his lunch as he waits for customers in Mostar, Bosnia-Herzegovina. 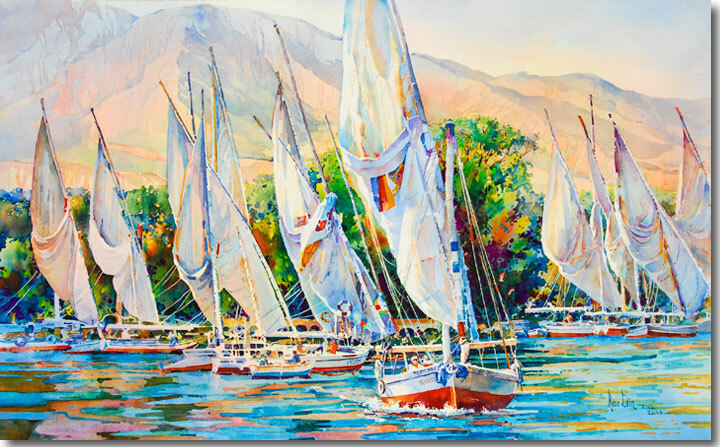 Near Aswan in upper Egypt, feluccas sail the Nile.